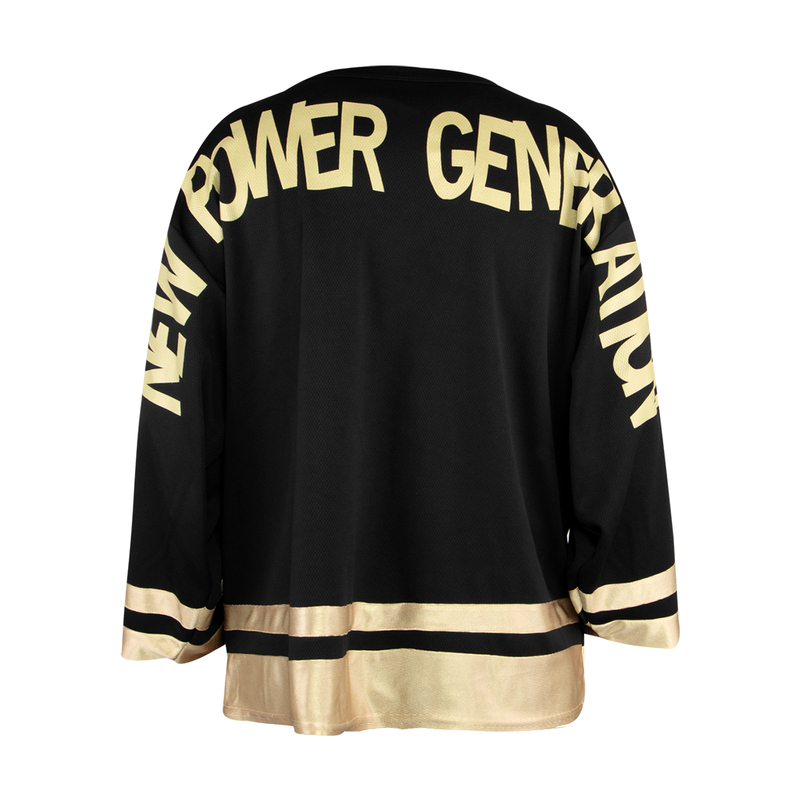 It’s no secret that Prince was fiercely proud of his powerhouse backing band, the New Power Generation — in fact, he would literally wear his love for the NPG on his sleeve. The NPG came to embody not only Prince’s backing band but his entire approach to making music. During that pivotal decade, Prince would end his longtime contract with Warner Bros. Records and pour his creative energy into his own independent label, NPG Records, and an online portal where he connected with his “fams” and released music directly to them, the pioneering NPG Music Club. The NPG wasn’t just a person or a place – it embodied Prince’s bold vision for the future of the music industry. 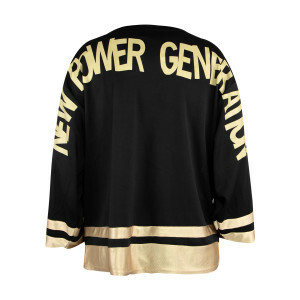 So it comes as no surprise that Prince could often be seen sporting entire outfits dedicated to the NPG in the mid-1990s, including this unique and evocative NPG-branded jersey that combined his love for his band and label with his lifelong passion for sports. 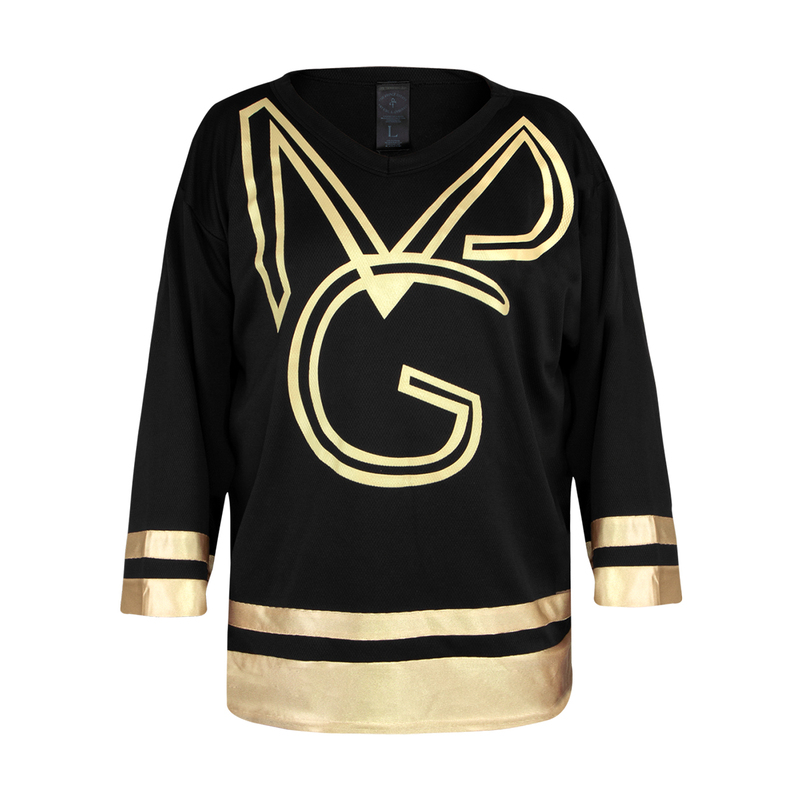 This hockey-style jersey was frequently worn by Prince during the Gold and Emancipation era. 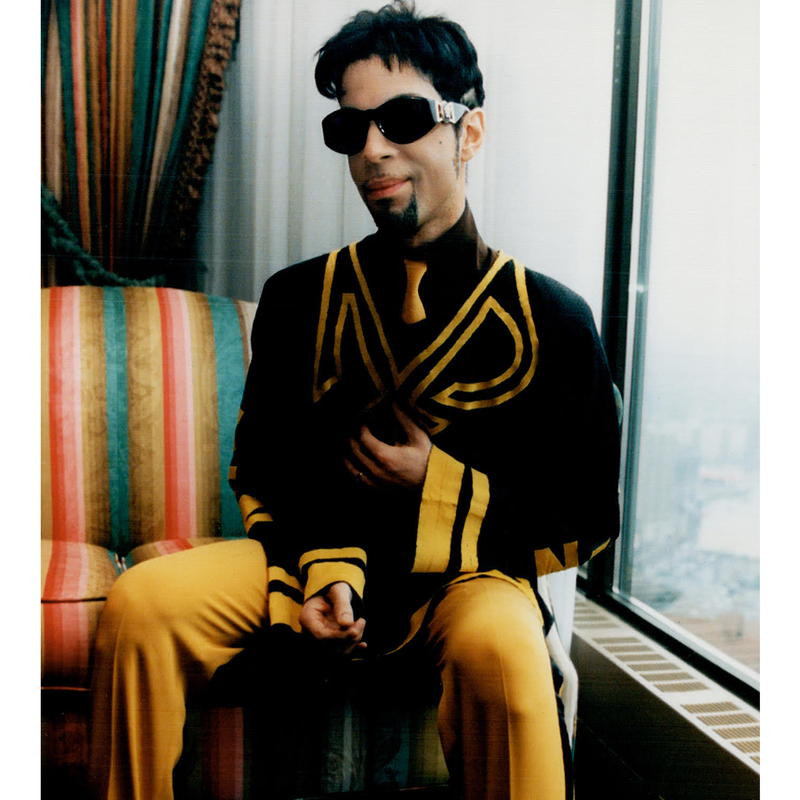 Notably, he sported a purple and gold version — a nod to his favorite hometown football team, the Minnesota Vikings — in the video for the 1995 B-side “Rock and Roll is Alive! (And it Lives in Minneapolis),” and was photographed in a black and gold version in the book Emancipation: Words and Pictures released in 1997. 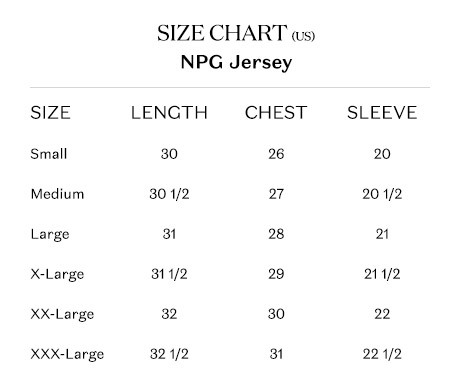 The NPG jersey was briefly made available through Prince’s late-‘90s website, 1800NEWFUNK.com, and was sold as tour merch during the 1998 New Power Soul Tour. It has been out of print for the past two decades, and is now available to fams worldwide. 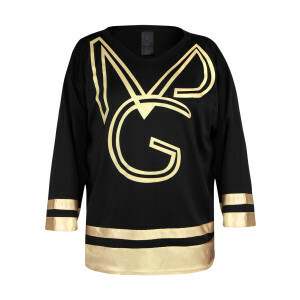 This one of a kind oversized fit jersey is made with breathable poly mesh birdseye knit with gold contrast luxury tricot accent.